Is something wrong with your oven? Usually, it’s not hard to tell. If it does not cook foods thoroughly, it likely needs to be serviced. There are other signs as well. Your oven not getting hot at all would be a clear indicator that something is wrong. In any case, we provide quality oven repair in Manalapan, New Jersey. We offer quality services for major home appliances here at Appliance Repair Manalapan NJ. We do everything from repair to installation. Our technicians can work on most major home appliances. Our techs also have a strong understanding of ovens of all types. That’s why we specialize in oven repairs. Call today to find out more! With oven service options like repair and installation, you can’t go wrong. Our goal is to provide the service you need when you need it most. That’s why we provide same day service whenever possible. Do you need fast and accurate oven repair? We can repair any oven, regardless of brand or type. We work hard to quickly repair ovens. We can also provide microwave oven repair if you need it. Let us tell you about our gas oven repair. It’s safe, reliable, and fast. Gas ovens are very popular but also dangerous if unqualified persons service them. You can rely on us to perform services properly for maximum safety. Our range repair skills go a long way! When stove repair is not what you need, maybe we can still help. 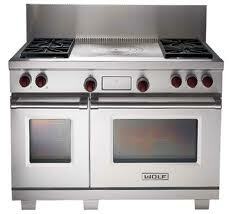 We also provide quality oven installation! This is especially handy if you just don’t have the time to do it yourself. Call today for our dependable oven repair in Manalapan, NJ!